A hard drive is a piece of hardware that stores digital content. Several tech gears have internal hard drives to store all files. You can save data like documents, music, videos, apps, and operating systems in hard drives. External hard drives are portable versions of their onboard counterparts to allow users to bring their files wherever they please. 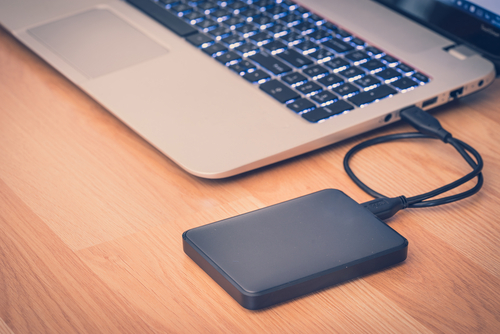 Continue reading to explore the ins-and-outs of external hard drives. With so many different models of external hard drives on the market, it can be challenging to pick which one to buy. You can check out sites like bestexternalharddrives.com to help you decide which device to select to give you additional storage space for your files. How Does an External Hard Drive Work? Both internal and external hard drives use magnetism to store digital files. This phenomenon stores information even when you turn the hard drive’s power off. If you look inside the drive, you’ll see a circular magnetic plate called a platter. Dividing this component are billions of tiny areas independently magnetized to store bits of data. Platters are essential components of any hard drive. These modules have constructions made from specific materials like aluminum, ceramic, or glass. A thin layer of metal coats these materials, which magnetize or demagnetizes depending on the scenario. When choosing an external hard drive, you may want to consider the material of the platter as each substance has their distinct pros and cons. A small external hard drive tends to have only one platter. Manufacturers, however, may install magnetic coatings for both sides, creating additional features like faster transfer rates in comparison with platters with only one side magnetized. Platters can rotate with speeds of up to 10,000 revolutions per minute (RPM). The faster the speed, the quicker the reading and writing of file transfers. How do External Hard Drives Read and Write Data? Many people think that the most integral aspect of external hard drives is their ability to store information. But more than that, internal and portable hard drives are excellent at letting users find files later. Think of it as putting a needle in a haystack, but you know where you placed that needle even if you left it there for over a year. Whenever a computer or other gadgets try to store data, it’s not just randomly throwing files in a pool of information. Instead, it carefully handpicks and places the data in an orderly pattern. The drive arranges the bits of data in concentric, circular paths known as tracks. Breaking up these tracks are smaller areas called sectors. A Windows computer looks at a map called a File Allocation Table (FAT) to look for free sectors. The Central Processing Unit (CPU) then tells the other components to store the data in specific locations carefully. If you want to read information from the drive, then the same operation happens but in reverse. Is the Transfer Speed of an External Hard Drive Important? The importance of an external hard drive’s transfer speed depends on the user. Certain individuals are okay with industry standard transfer rates, whereas power users may require faster speeds. You can shave off a few seconds from reading or writing files with a quicker reading and writing speed on your external hard drive. For example, you won’t see a lot of difference in data transfer rates between 7,200 RPM and 5,400 RPM external hard disks if you’re transferring small files. However, you’ll see a noticeable improvement if you’re reading and writing large data and media with the 7,200 RPM variant. Also, file transfers using wired connections are faster than using wireless connectivity. An external hard drive is an indispensable item for several users. For example, the video and audio editing sector may require the transfer of large files across different platforms. Certain online data storage services may not be able to handle the bulk of the files. Also, external hard drives aren’t reliant on the Internet. Make sure to consider a few factors like dimensions, maximum storage capacity, and price before buying an external hard disk.